KOCHI: Naming a product after it gets popular through a movie, especially in Mollywood, is no news. Mammootty shirts in the movie Hitler prompted garment manufacturers to launch Hitler shirts in the market. Likewise, the Narasimham dhothis the costume used by Mohanlal in the movie Narasimham was also a big hit. But, for the first time a food item dosa is being named after a movie and has turned out to be the gourmet's delight. Introducing Salt n' Pepper dosa to the Malayali taste buds is Pai Dosa, thanks to film director Ashiq Abu's new movie Salt n' Pepper. Just as the movie is faring well in the boxoffice, Pai Dosa on M G Road, Kochi, has got a hit on the menu with the new item. &quot;The recipe is simple. It is a mediumsized dosa priced at Rs 80. The dosa is garnished with layers of masala and homemade chutney powder. It is finally topped with a dash of pepper powder. 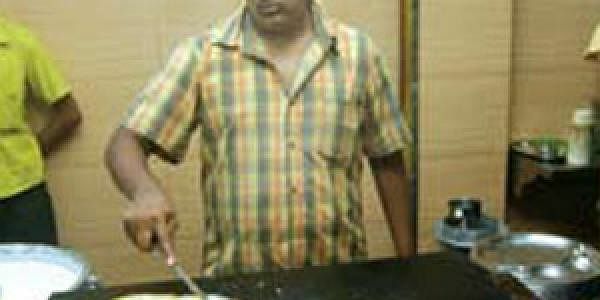 Of course, quail egg and vegetables are the icing on the dosa,&quot; says Sumesh N Pai, of Pai Dosa. Salt 'n Pepper Dosa is the youngest of the dosa family of their shop which already has more than fortyfive varieties of dosa on offer. &quot;The fact that Malayalis are connoisseurs of food gave us the courage to plan a narrative for Salt n' Pepper with several food items as major players,&quot; director Ashiq Abu said. He said that it was Thattil Kutty Dosa which builds up the situation for the protagonist (Lal) of the movie and the heroine (Swetha Menon) to meet. Even the tagline of the movie is Oru Dosa Undakkiya Kadha (A story born out of a Dosa). &quot;I am glad that our movie has given birth to a new type of dosa,&quot; he added. So, while it is one more addition to the 'movie trendsetter,' and as it is a crispy dosa, the latest one is an exception to Manichithrathazhu saree and Harikrishnans churidar!